Learn to Scuba Dive in Adelaide and get your PADI Open Water Certification with The Dive Shack, Adelaide’s Award Winning Dive Centre. Fun and Passionate Dive Team (Our team is dynamic and friendly, but most importantly professional, safe and loads of fun). Max 6 Students per Instructor (Besides the added safety factor, learning in small groups means less waiting around and more personal attention). 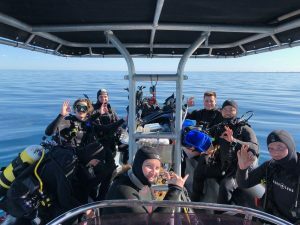 Boat Dives Included (We comply with Australian Standards and include boat dives in our PADI Learn to Dive Course in Adelaide. After completing 2 shore-based dives, we dive from our own purpose-built dive boat to depths up to and including 18 m deep to ensure you get the right training to ensure you are a safe, confident and comfortable diver before you are certified. New School/Rental Gear (We regularly update our school equipment with the world’s leading scuba gear manufacturers. This ensures your comfort and safety is further catered for on all dive courses at The Dive Shack). Adelaide’s largest range of quality swim, snorkel and scuba equipment (All our showrooms are fully stocked to ensure you can get fitted and take your gear today! If you want something in particular, a different brand or piece of equipment, just ask; we can get it in for you without an issue! Furthermore, we have many different payment options to make your decisions easier. Price Match Guarantee (Our prices are extremely competitive. If you to find a better price on any stocked item in any store within Australia, we will match it. *Conditions Apply). Genuine PADI Certification only (Don’t get caught out – you learnt to dive for a reason, your PADI certification card will be recognised worldwide by every dive centre). No Hidden Costs (Don’t worry, there are no hidden costs! You are more than welcome to upgrade to any higher quality course at any time during your chosen course. Your Instructor will be more than happy to explain how this can work at any time). Swing by The Dive Shack for a chat with our friendly team. We’ll happily talk you through your open water course and options. The Dive Shack Open Water Diver Course will prepare you to safely and confidently dive to depths of 18 metres either with a dive professional or just with a friend who is also certified to dive. Whether you have always dreamed about being able to breath underwater or are curious to see what lies beneath the surface and explore the oceans of the world, The Dive Shack’s Genuine PADI Open Water Diver Course is the place to start! 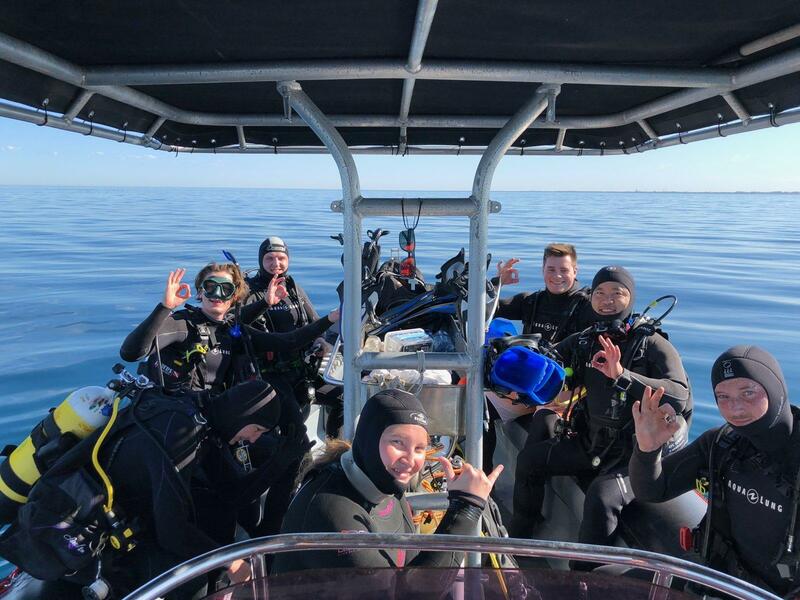 Don’t forget, upon completion of your course, when you dive on our boat we will have a dive professional on board who can buddy with you at no extra charge with when you present your voucher you receive at the successful completion of your course!